Do you feel special? When you go through your day do you ever say, wow, I’m really special! Hmmm…probably not, right? People use that word to mean a lot of different things nowadays. It is supposed to mean distinguished or distinctive. My favorite synonyms are: extraordinary, rare, exceptional, unique, memorable and even “smashing”. The ones I find not so wonderful are peculiar, particular, limited, and different. Although not necessarily bad, they don’t make me feel the way the first set of synonyms do. Let’s agree with the first set of synonyms for the definition: extraordinary, rare, exceptional, unique, memorable and smashing. Make sure you find the reasons that make you feel good. Be kind to yourself! The best games are the ones that we grow from. You may have to make a list of all your good qualities and if you don’t love yourself very much, it could be a pretty short list. If you have trouble with this, ask someone that loves you to fill in at least one of the blanks. Ask them to get you started. I know that you ARE extraordinary and exceptional. You just need to believe it and show the world. What outlook do you have if things don’t seem to go “right”? There are always a number of options. Which one is your default? It’s someone else’s fault because I had nothing to do with this…situation, outcome, whatever. It’s all my fault. Nothing good ever happens to me – or some variation on this. It’s no one’s fault because it was meant to be…fate…preordained, or some such. It’s no one’s fault, but I take responsibility for the outcome because it’s a lesson I need to learn. First let me say that none of these are wrong, but some choices and beliefs will make you waaaayyyyyyyy more uncomfortable than others! Some people refer to choice #1 as a victim mentality, but sometimes it really feels like you had nothing to do with the situation or outcome, so you may choose #1. Choice 2 is the depressive personality or someone with incredibly low self-esteem. It may not be your go to, but if you hit this one occasionally, it may be a certain area of your life that just tends to find Murphy’s Law, where an awful lot just doesn’t go the way you wish it would. The third one can seem fatalistic or like no responsibility is taken, but sometimes it can really feel this way. The religious community can get stuck in this one sometimes. I personally don’t like it because I want some say in my life. The free will thing…I like it! The last one is interesting. It is kind of where the spiritual community settles. Just be sure when taking responsibility for the outcome you take responsibility for your outcome and not everyone else’s. If you feel into it, you’ll find that choice 4 gives you more freedom; freedom to choose a different outcome; freedom to grow and change; and freedom to move on in a faster way. I guess you can tell I tend to lean towards the fourth one. But whichever way you look at it, knowledge is power. If you don’t like the way you handle something and you see you’re doing it all the time, try something different. And make sure you don’t get stuck in a choice of blaming and finding fault that makes you miserable, unhappy or distances you from others as the not so much fun person to be around. If you don’t like one choice, try another and see how that fits the you that you want to be. Sometimes life happens and we feel we come up lacking. You wanted A to happen, or maybe B, and we got M, N or P, and we believe we didn’t do enough. Sometimes we even give up on our dreams because life is too difficult. BUT, do you want to live like this? Go back to your childhood for a minute. Did you have big dreams about what you wanted the future to hold? If you don’t remember anything specifically, maybe you remember what kind of games you played. Sometimes those hold the key. Even if you were stuck in survival mode at the time, there was a dream lurking under there somewhere. We all had some sort of dreams, but where are they now? Take a moment and look at where your dreams are now and if they’ve changed or refined some. What are they? What do you REALLY want for your life? Are you trying to get there? Thinking about giving up because things are taking forever to happen? 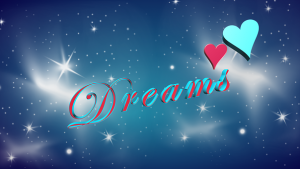 Or have you already thrown in the towel saying…maybe I need to find a new dream. Or maybe you’ve adjusted and made the dream smaller. Dreams may shift over time, but don’t make it be because you think you can’t get there from here. At least try to find some clarity first. Let’s do a quick exercise to accomplish that. Picture what you truly want in your mind’s eye. Then step into the dream imagining that you already have it, and it’s even better than you thought. Stay there for a bit feeling every bit of it through every part of your being. How wonderful does it feel; how fulfilled are you; how happy are you that you didn’t give up? Do you feel loved, wanted, self-confident…? Stay in this really lovely place for a couple of minutes really feeling into your body and allowing it to feel like it’s your present reality and not like it’s somewhere in the future. Now, ask yourself the next question. From that really good place, ask yourself…who do I have to be in order to achieve this dream? Do I have to be more persistent, more self-confident; more loving; or maybe just have more belief in yourself that you deserve for them to happen. This exercise can not only be fun…to feel like your dream is already a reality…but it usually expands the possibilities of your dream and makes it feel more real to you. It also can be an eye-opening experience when you ask yourself “Who do I have to be in order for this to happen?” Only you can answer that! Don’t give up on your dreams with regret. Maybe they do need to adjust a bit or change completely, but make those choices from a place of clarity and empowerment. If you do decide to move forward with an elusive dream, don’t be surprised if people give you information out of the blue, new doors open, or unforeseen opportunities show up. Do you ever feel lonely? Where are you when that happens? And how often does that happen? Being alone and feeling lonely can be two totally separate things. If you are generally okay when you’re alone and don’t feel lonely very often, it pretty much means you enjoy your own company, that you aren’t scared to be alone, and that is indeed a very healthy thing. I know a couple of people who either dated people who were horrible for them or who married someone just because the alternative of being alone was so awful for them. Let’s just say they are not happy with the person or persons they chose but they would rather have a not so wonderful life than leave if they have to be alone. 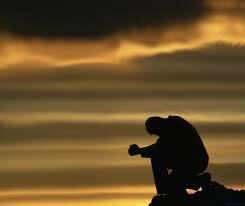 Some people feel lonely in their relationships and even in a crowd or at a party. Where are you in this spectrum? Step 1 to not being lonely is to find a way to like yourself more. If you can enjoy being in your own company, you won’t feel so alone. What will that take for you? Take a good look at yourself. What is it that makes you feel lonely? Some people need to respect themselves more, or find a way to be more interesting. Others need to simply find a group that makes them feel listened to or turn inward to meditation. And others really need to work out deep seated issues that they can’t do alone. No matter what someone tries to suggest to you, only you know what you’ll need for this step. If you aren’t sure, try different things. The lighter and more fun you can be while you are going through this, the easier it will be. Are you going through a transition in your life? Some sort of change that feels really difficult to get through? Many times we don’t ask for times of transition, they just happen: Our spouse asks for a divorce, our children move out for college, our partner breaks things off, there is a death in the family, or we are laid off from our job. 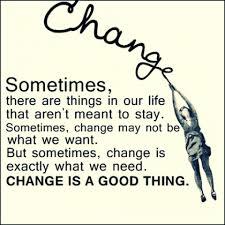 Other times, we do plan the change but it doesn’t always make it much easier: we may be on the other side asking for the divorce, move to a new location or start a new job. How are you handling it? So many emotions are out there from disbelief, to pain, to anger, to loneliness, to fear…and sometimes these can get all mixed together. These can be our hardest and most emotional times and biggest stressors. So, what do you do? One answer is to find someone to talk to. This can be anyone from your mother, a friend, a minister, a bartender, a life coach or a therapist. Groups for what you are going through can be transformative because they enable you to share the pain and even have answers for each other. Whoever it is, make sure they don’t have a set agenda on what they think you should do or be. Our mothers and friends can be the most amazing people, but in general they do tend to see you differently than someone who is a little more unbiased. If you feel pushed into a corner you don’t want to be in when you speak to someone or the group isn’t for you even though it seems like it should be, find someone or somewhere else. And most importantly of all, honor your process. Talk, cry, scream into a pillow, do a lot of long walks or jogs in nature…whatever you need for your healing. We tend to grieve loss and what we perceive as failure, and that loss doesn’t have to be a death to be difficult. Some people take longer than others to reach the other side, but do realize that if you have been taking a couple of years, you may appear stuck to your friends or relatives. If that happens, they may try to push you a bit to force you to heal faster. Try not to be too angry at them even if you don’t feel ready to move forward. 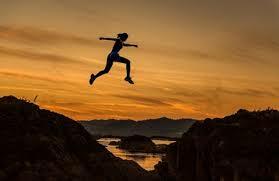 Many times we just need a gentle shove to get our spirit back and take that leap to get our lives in better working order. No matter how old you are once you get burned in the love relationship department, you know what pain is. 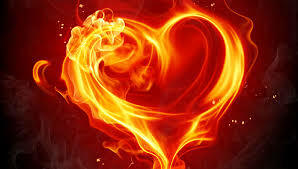 Sometimes the pain is in the pride, but deep emotional pain really does make it feel like your heart is cracking in two. There is some real searing pain in that! And as the saying goes, once you step too close to the fire and get burned, you tend to shy away from fire and maybe even avoid it. Look at yourself. If you are love shy or a commitment-phobe, do you have a pattern? Do you avoid relationships altogether of the love variety staying either celibate or going in for meaningless flings? Or maybe you do have relationships but you protect your heart and wall your emotions off. Or perhaps you leave when things get too close before the other person can leave you. Once you know your pattern, you’ll understand yourself better. If you are scared to move forward because of the possibility of pain, it will take away your future joy. It really does come down to deciding what you want. Do you truly want a spouse or a significant other in your life that is a true partner and the love of your life? Or maybe what you want is someone you can just have fun with but doesn’t actually share your life. You’ll have to look deeply at the WHY in order to be clear to see what’s holding you back. When we protect ourselves too deeply, we wall ourselves off. And it generally it isn’t for our highest good and best outcome if we do anything out of fear, barring running away from something or someone that is definitely bad for us. So take a little time, look at your patterns and then decide what you want your life to look like. In your heart of hearts, what kind of loving relationship would you bring you joy? Don’t let fear or lack of self-confidence get in your way here. You are just dreaming and wishing at this point. But once you know what you want, your life will start moving in a different direction. And if you need help to work things through, make sure you ask for it. There are plenty of good therapists and life coaches out there, including me, that can help you transform and grow your confidence and love of self so you can attract to you the person that is everything you want. Do you ever look at your life and wonder how you got there? If you had totally different wants and desires from where you are, there are definitely some limiting beliefs holding you back. One of the most “popular” is saying to yourself “I’m not good enough”. The I’m not good enough can take different forms, but if you can see what’s holding you back, you can have a focus for change. First, ask yourself why you don’t have what you wanted and see what comes up. Each time you have an answer see if it is an excuse or a feeling, or what it looks like, and then keep digging deeper. For example, you may think you don’t have the job you want because your boss doesn’t appreciate you, or a fellow coworker is saying nasty things about you, or you had to take time off for a family emergency, which put you behind another employee for the promotion you wanted. But if you go deeper than that, you may see that your self-confidence is low; maybe you think you don’t deserve to have the money that comes with a promotion; or maybe you don’t think you’re good enough to handle anything new that comes up. Once you get to a place that you can’t dig any deeper and it comes to a belief in yourself, you have your starting point. 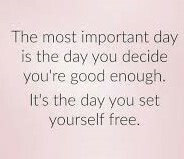 If you take the “I’m not good enough” or other belief you have uncovered and look back at your life, when did that feeling first come up? Was it something your mother said to you; your best friend; a teacher; or maybe even a school bully? I’ve found in working with my clients that some can just release beliefs once they know what they are (the first step above), or they need to go back and be aware first of the origins in their life so they can heal it at depth. You may need help with this last part, but once you start healing it and letting go of your limiting beliefs your whole life can change moving you in either the direction you were hoping for, or something a whole lot better. When you think about starting a new project or a new plan in your life do you love it? Hate it? Or maybe it’s just another project you need to do. And what about relationships? Do you jump right in; wade in slowly; or stay out of the pool altogether? In nature if you plant a seed for corn, and you tend it and water it, you’ll get corn. If you plant a seed for zucchini, you’ll get zucchini. And if you plant a seed for a palm tree, you’ll get a palm tree. Not at any time that you plant that corn seed will you get tomatoes, or an African violet instead of a palm tree. We can have faith in that. However, in “regular life” it seems like anytime you start something new, even with the best of plans all laid out, the outcome could be totally different than what you think going in, which can make us a little worried about jumping in. But if you look back once you have an outcome, many times you will see quite clearly why the outcome happened. 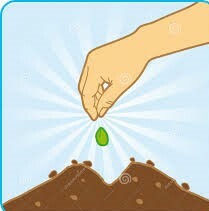 You can see you actually planted the wrong seed, meaning you thought you wanted something but really started working towards the outcome for something else without realizing it. So, be clear what you want. Be absolutely sure that seed you are planting is what you are looking for, and then stop digging it up and checking on it! Trust that what you want will happen. Keep working towards it; see it clearly in your mind and get excited about it. The clearer you can be from the beginning of what you want, the more you can trust that what will sprout and grow will be that dream or goal…and if you sprinkle a little Miracle Grow (that trust and belief), the result will be even bigger and better than you ever imagined. 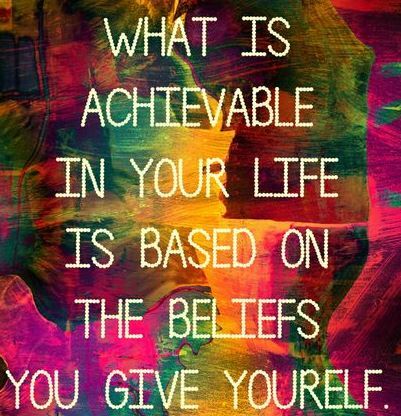 What are your beliefs? If you think beliefs are only about God, think again. Every time you decide you can’t do something, it is a belief. Every time you say you only attract the wrong or bad sort of person for you, it’s another belief. And every time you say, you can’t afford something, you are again reinforcing a belief. 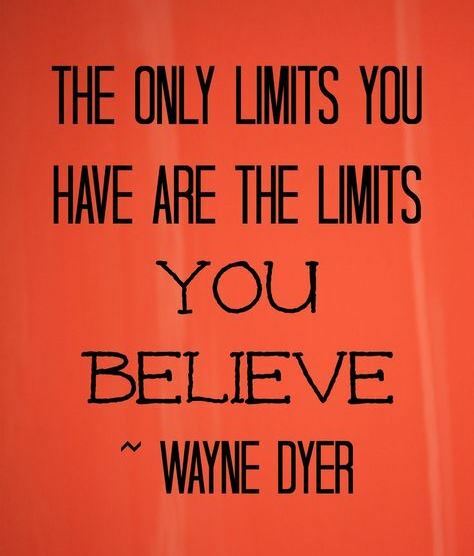 These are generally referred to as limiting beliefs because they limit your good, your fun and the richness you can have in your life. Let’s take an example. Money is easy to see because you can hear yourself saying things more often than in some other categories. So maybe you say I can’t afford it; or perhaps you have a different favorite. Maybe you think your family has always been poor or middle class, so you can’t have more. Or you might think that you don’t deserve to be rich, or you don’t want to be rich because you see those that are being snobs or greedy or power hungry. And then there’s always the ever popular, my job doesn’t pay me enough. Let’s take those apart for a minute. If you say you can’t afford it, you may be thinking that there is only a limited supply of money and you can’t spend on this particular thing because you won’t have any left, or much less anyway. Or maybe if you think your family has always been at a certain level of financial success, you may feel uncomfortable with the thought of doing better than those around you or then again, maybe you think you are only allowed so much prosperity and good in your life. And the job one? You are limiting yourself to one form of financial remuneration when money and prosperity can literally come at you from an unlimited number of sources. If you shift even one percent of a belief it can totally transform your life. So take a look at one belief that is holding you back from your good. Analyze it for a minute and see how it’s holding you back and then choose to find an alternate belief. Work with it until it becomes more natural to you. Humans are amazing. We choose how we live, what we believe and we can literally choose again to find the life we want and release what isn’t working for us. It takes making a decision, being focused and knowing what outcome you want, and it might even require you to get a little help from an unbiased outside source. But releasing what’s holding you back from the life you truly want? Isn’t that worth a little effort? 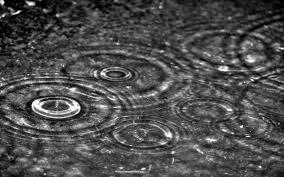 Have you noticed that sometimes when it rains for too long a time we can get depressed or moody? Sometimes we aren’t aware of it or don’t know why we feel like that. So with life, when things seem difficult or we have darker days, we have the same reaction. Yet we need the rain to enable life to grow. A little or sometimes a big bump in the road can do the same for us. They aren’t always pleasant or easy, but they bring us life lessons if we are willing to take the time to step out from the situation and look at it from a different, and especially higher, perspective; one that isn’t stuck in the muck. Believe me, while it may be healthy to feel the emotions while going through a challenging time, at some point you’ll feel stuck if you don’t move forward. Try to look at a challenging situation or person as though this is the first time you’re hearing about it. Don’t get caught up in the emotions. And see if there is an obvious lesson or higher reason. After all, most of us are great at giving advice to friends or relatives when we see them going through a problem. Do they take our advice? I find…rarely…but maybe we’ll take our own. Honestly, we already have the answers on how to overcome all of our troubles, but we need to trust and listen if we ask for divine help. If we choose to learn and be grateful for those bumps and bruises we receive without holding onto the anger, fear or blame in the situation, we can grow and flower. 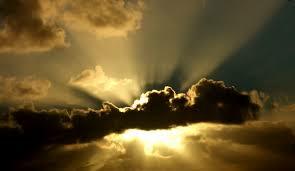 If you are one that embraces storms knowing they bring new life, that’s wonderful! If not, there is hope because the more you learn from your lessons, the higher you raise your vibration, so that what might appear to others to be darker times or storms in your life, will bother you less and less. You’ll rise up sooner to a better place because you’ll know it’s merely a lesson; something when looked at from a future time…may indeed make your life richer for having taken place.